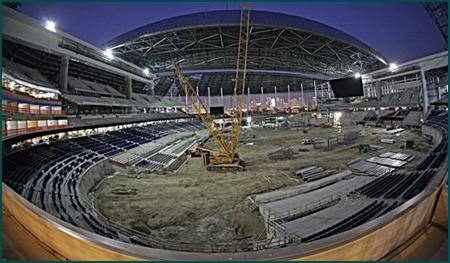 Marlins Stadium — CES Consultants, Inc. The new home of the Miami Marlins Major League Baseball team is a first-class stadium owned by Miami-Dade County. CES provided Owner’s Representative Services for the construction of this $515 million structure. 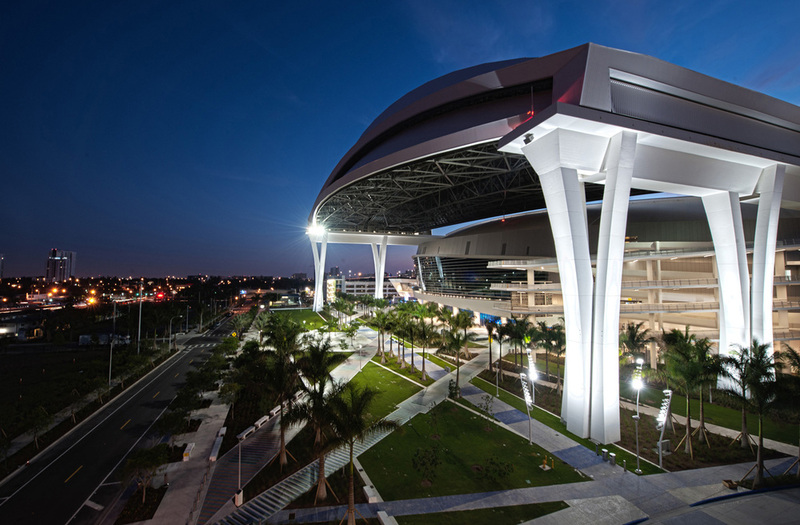 The Marlins Stadium won the 2012 Engineering News Record Southeast Project of the Year award. The 37,000-seat stadium sports a retractable roof. The structural steel roof, which weighs 8,300 tons, is designed to open or close in approximately 15 minutes, which is essential for unpredictable Florida storms. Twelve super columns support the roof structure in an array specifically designed to meet the aesthetic and engineering goals. Four five-story parking garages and six surface-parking lots accommodating approximately 6,000 vehicles. CES provided on-site field observations to oversee construction operations related to the underground utilities of the public infrastructure; verifying contractor’s compliance with the contract documents and applicable standards and regulations; and reviewing change order requests, construction documents, and As-Built drawings.